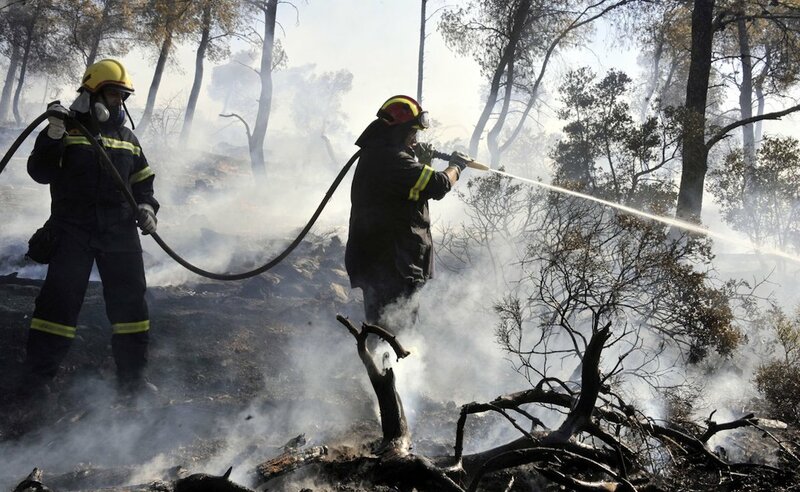 Following last week’s catastrophic fires near Athens that killed more than 90, the Stavros Niarchos Foundation announced Monday that it will grant €25 million to the Greek Fire Department in support of its efforts to protect Greece’s citizens and natural resources. According to the announcement, the grant will cover department costs for maintenance, new equipment and training programs in order to improve future responses to emergency situations. Since 1996, the foundation has supported Greek firefighters with more than €19 million of grants. This new grant, announced in the wake of the recent tragic events, is not without context or precedent. Since the beginning of its grant making activity in 1996, the SNF has supported the Hellenic Fire Department through a series of grants totaling more than €19 million. Among these, during the last 20 years, the SNF has provided a Super Puma helicopter, which was heavily used in combating the recent catastrophic fires, 15 vehicles to cover the Department’s needs and has funded the construction and operation of a training center for the Fire Department’s Disaster Relief Team. The SNF has also supported the work of volunteer firefighters in the islands of Cephalonia and Samos. Furthermore, the SNF has previously supported firefighter education by funding a multi-year training program in forest fire prevention in collaboration with the British Columbia Fire Service in Canada. Upon their return, program participants were able to train their colleagues in Greece. “This national tragedy, which has cost the lives of so many and destroyed the households of thousands, requires that all of us, as a society, find ways to provide a collective remedial response…” the organization said in a statement. “Through this grant initiative, the SNF hopes it can contribute towards the response to a grave national matter—one that transcends politics—in a manner that unites the country’s leading forces against current and widespread polarization.